What is a healthy weight? If your child is not at a healthy weight, it can lead to problems with their cholesterol and other risk factors for artery disease (atherosclerosis). 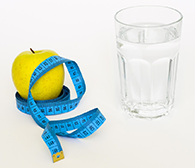 The resources below include information on the effects weight have on health, the statistics about healthy weights, overweight and obesity and next steps to help children and families dealing with weight problems. There is also a calculator to calculate weight based on height, a common way to measure whether a child is overweight or obese.